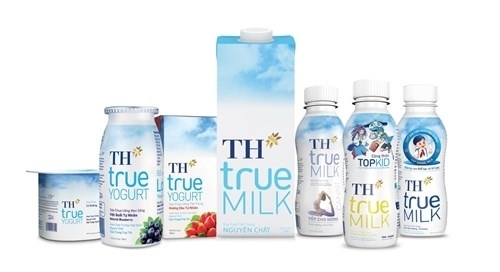 Vietnam’s dairy group TH True Milk recently began construction on a milk processing plant at Kaluga Special Economic Zone in Borovsk district, Kaluga province of Russia. The plant is part of the group’s ten-year investment worth US$2.7 billion in Russia. Equipped with automatic systems from the world’s prestigious suppliers, it will produce milk and dairy products such as pasteurised milk, ultra-high temperature processing milk, yogurt, drinking yogurt, butter, kefir, ryazhenka, and ice cream. Capable of producing 1,500 tonnes of milk per day, it will become the plant with largest production capacity in Russia, with materials from TH cow farms in Moscow and Kaluga. According to leaders of Kaluga province, the project is the most important one in the locality. Once becoming operational, it will help settle milk insufficiency in Russia while boosting exports to international markets like China and the Asia-Pacific. The group is considering building farm and milk processing plant complexes in Tyumen province and Bashkortostan. Also, it will carry out a cow breeding and milk processing project in Primorye province of Russia’s Far East. Up to 350,000 head of cow are expected to be raised in an area of 140,000 hectares during the three-phase project. Nearly 1.8 million tonnes of milk will be produced per year. TH plans to set up a distribution chain with 300 True Mart stores across Russia. 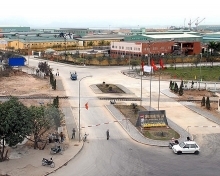 Last year, Vietnam and Kaluga province enjoyed a trade revenue of US$30 million, 7.6 times higher than 2015. 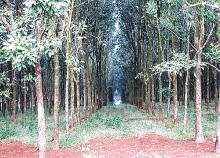 In the first six months of this year, the figure was US$22.3 million.